Short readable report that looks at what skills are most in demand in the workplace, and likely to be in the future. Finds that there is a strong demand for creativity in a small number of occupations. Of 39 ‘transferable skills’, ‘creativity’ is consistently the most significant predictor for an occupation’s chance of growing. 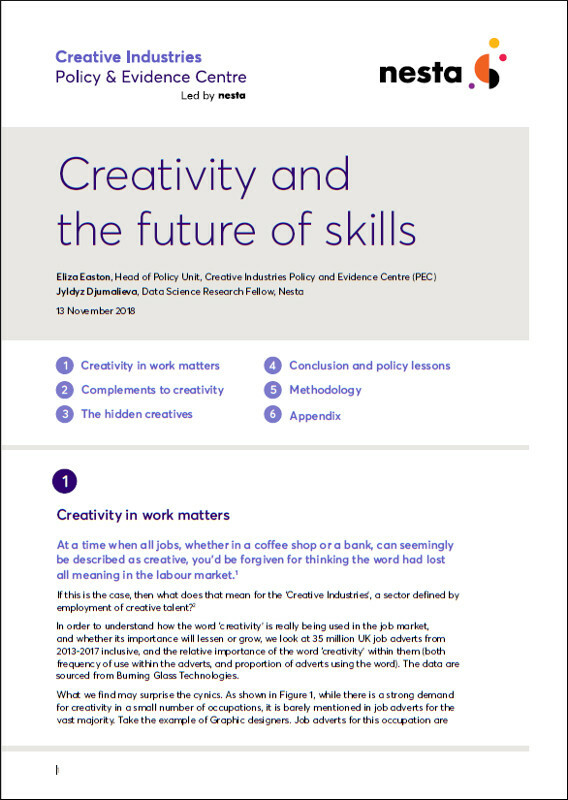 Also finds that project management, organisational and research skills are important complements to creativity, meaning creative jobs have even better prospects. Heartening for those in creative occupations! Nesta is an innovation foundation. It backs new ideas to tackle the big challenges of our time.